When its time to relax, its easy to get sucked into a couch in front of the TV or a desk chair in front of a computer. But if you really want a luxurious, vacation-at-home kind of spot for every day relaxation, consider your own back yard. There have never been so many ideas and resources related to outdoor living spaces. By turning your backyard into a mini-outdoor retreat, you can create a one-of-a-kind living area that will help you sit back, relax and stay in touch with nature. Set your budget. Do it before you crack a magazine. I’m telling you, your impulse control may suffer if you haven’t already established your ceiling for the project. And then, all I can say is: Pinterest. It's an endless stream of ideas to get the ball rolling. Make a pin-board for landscape design and go to town. Compiling all of your ideas in advance will make the process of planning, purchasing and installing a lot smoother. When you feel like you’re ready, whether you’re DIY-ing or calling in the professionals, you will always want to make sure you call your utility company to mark any buried lines first. This will spare you a lot of headache and expense later. From fire pits to plant types, knowing what you need to buy will be determined by figuring out exactly how you want your space to look. You may have a board full of pins or a binder full of clippings, but knowing exactly what you want where is crucial. Depending on how ambitious you were in imagining your space, or how experienced you are at bigger projects, sometimes, it just makes sense to get out the check book out and call in the professionals to do the job. 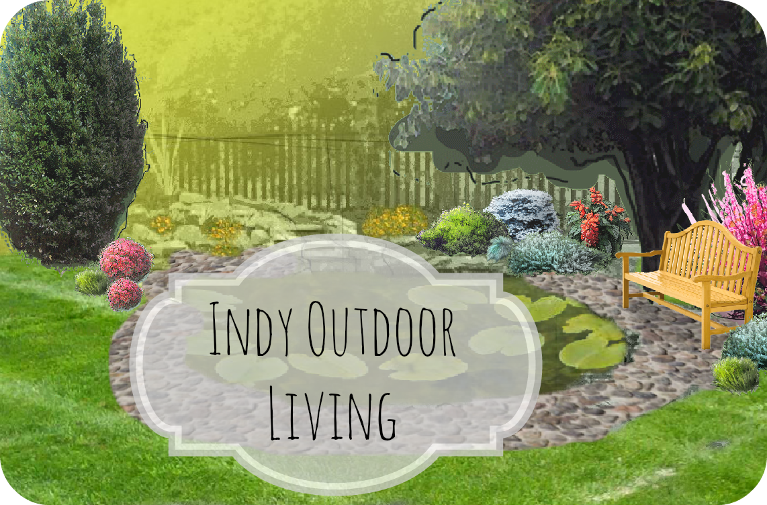 In Indy, you have numerous choices that guarantee to transform your garden into your personal outdoor park. BPI Outdoor Living, winner of the 2013 Indy A-list for Best Landscape Design, offers plenty of outdoor living space services including water features and outdoor lighting. Another reliable landscape design firm is Fiano Landscapes, who can help you design the perfect outdoor living space using 3D rendering. So what are you waiting for? Transform that old empty backyard into a relaxing haven that you can come home to every single day. Interesting Article for Landscaping, Keep Sharing.